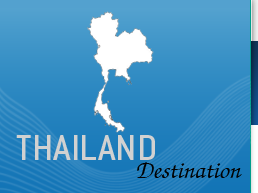 Thailand is full of culture and new experiences waiting to happen, a Thailand tour for many is an ultimate holiday experience whether soaking up the sun on one of its famous beaches or going jungle trekking or bamboo rafting, there is something for everyone. Xplore-Asia can arrange a Tailor made or Group tour to Thailand or just a beach holiday at a resort that meets your plans and budget, we are renowned experts with many years experience on the ground in Thailand. When on a Thailand Tour with Xplore-Asia you could visit the Hilltribes in the north, the famous beaches in the South or combine Thailand with with travel to one of it's neighbouring countries such as Laos or Cambodia. Bangkok will normally be the first stepping stone on your trip to Indochina and maybe the last on your Thailand tour as you stop to shop in Bangkok on your return home.